TL;DR: Customer service will be a differentiator for companies moving forward, and savvy businesses can tap into a powerful advocacy channel if they choose to provide world class service to their customers. Customer success is something that many businesses say they value, but many are less willing to put in the resources into service programs. This lack of focus on customer success, coupled with high attrition within the service ranks, means many businesses are slowing down their growth potential. However, a segment of growing businesses recognize customer success as a key differentiator that will keep their business on the growth trajectory. 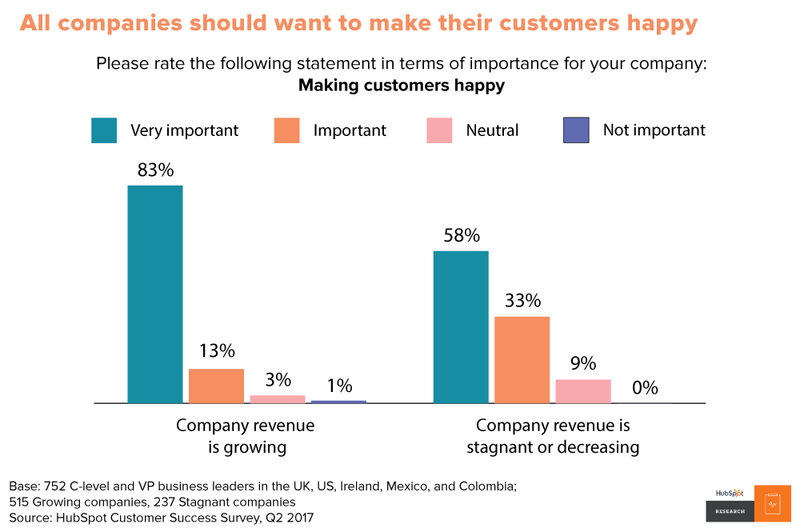 This report outlines why businesses should view customer success as a lever for revenue growth. And as a result, most consumers today do not believe the businesses they buy from care about their success. This is because focus on customer success has always been secondary to closing a deal, especially for startups and small businesses. But it shouldn’t be. Millions of businesses compete for customers online. It’s harder and harder to stand out and attract new customers. Acquiring new customers is more expensive than ever. As a result, some businesses have turned to their existing customer base with a focus on improving retention and turning them into advocates for the brand. Ensuring customers are successful and happy creates a powerful and efficient promotional channel for businesses. That’s because consumers today are very likely to praise companies that provide excellent service experiences. 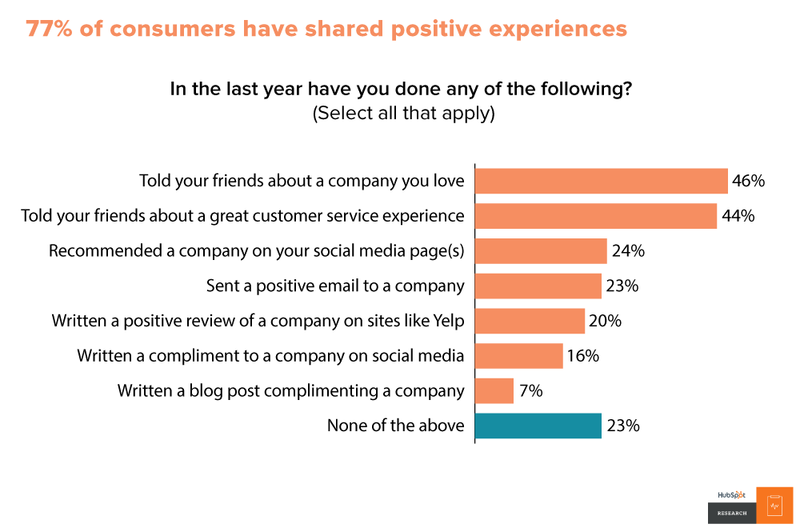 77% have shared positive experiences in the past year, with 24% posting praise on a company’s social media channel. Leveraging customers as brand advocates brings incredible word of mouth value to prospects who research reviews and ask friends about what to buy. We compared the service philosophy of growing companies against those that are either stagnant or declining. The results paint a clear picture –growing companies prioritize customer success. 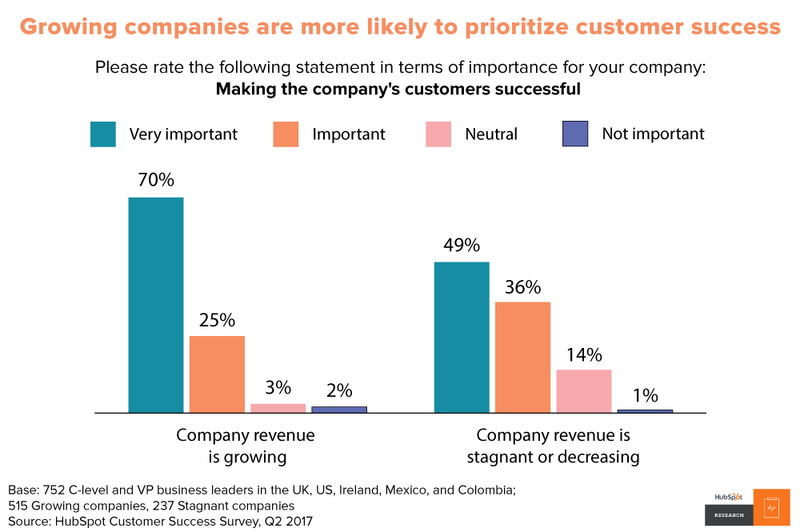 First, we see that growing business rate customer success as “very important” at a higher rate compared to stagnant or declining companies. It’s a surprise so many businesses are able to grow without their customer’s success, but as the cost of customer acquisition trends upwards, it’s unlikely businesses that don’t care about customer success will continue to grow. Growing businesses are 21% more likely to say their customer’s success is very important than stagnant or declining companies. One may assume that these growing businesses are able to prioritize customer success because they’re flush with cash -- business is good so they’re more willing to spend. After all, struggling businesses have to be more mindful about where and how much they spend. In reality, leaders of growing companies are more focused on cost-efficiency than their stagnant counterparts. It's clear this cohort of CEOs and VPs have a different point of view on service. 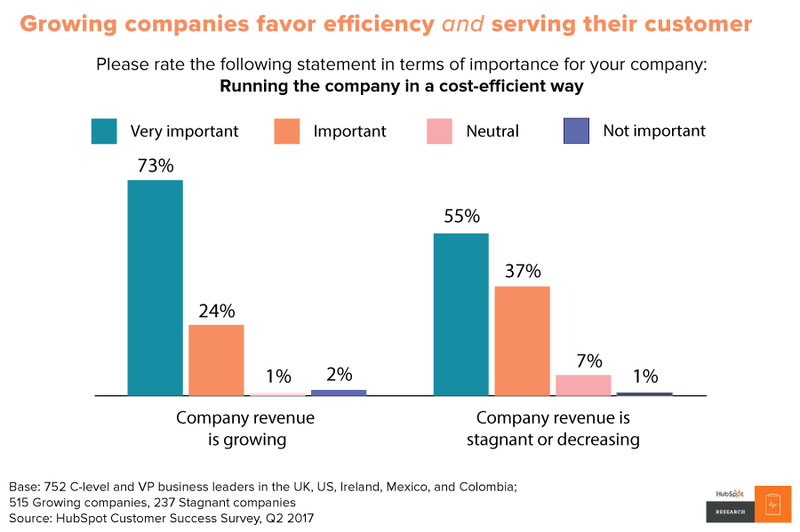 By seeing customer success as a differentiator and revenue contributor instead of a cost center, these businesses leaders invest in customer success with the understanding that it will ultimately help their business grow. So growing businesses claim they want their customers to be successful. How do they achieve it? By investing in their customer service program. 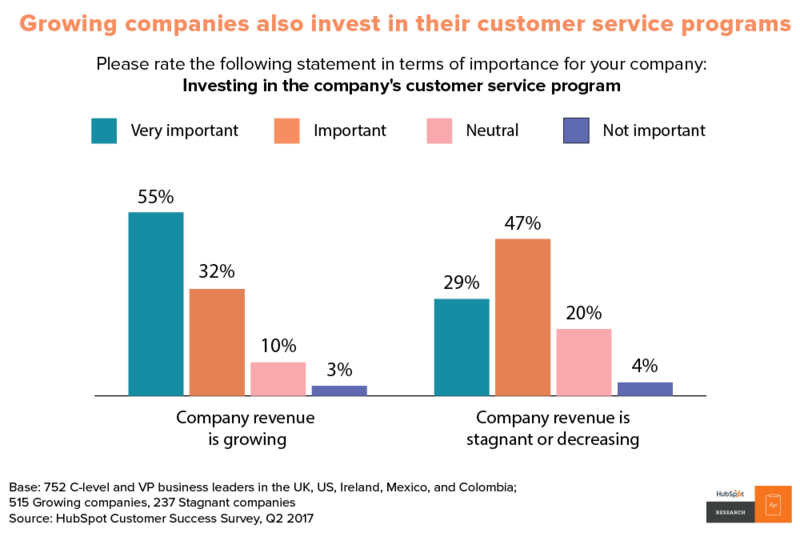 Over half, 55%, of growing companies rated investing in their customer service program as very important, compared to 29% of stagnant or declining companies. Where is the investment going? When it comes to training, there's a clear priority amongst growing companies to ensure their service representatives can handle whatever a customer throws at them. 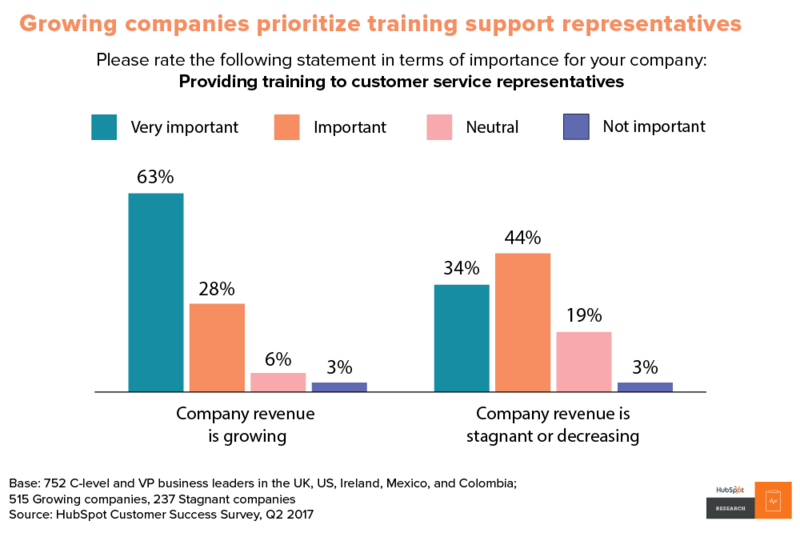 Growing businesses are almost twice as likely to rate training their customer service representatives as very important. Growing businesses also view their customer service representatives as investments and focus on their retention, just as they would for revenue-generating salespeople or lead-generating marketers. It makes practical business sense: Service is an especially high attrition field, so a focus on retention means managers spend less time and resources hiring, recruiting, and training new representatives. 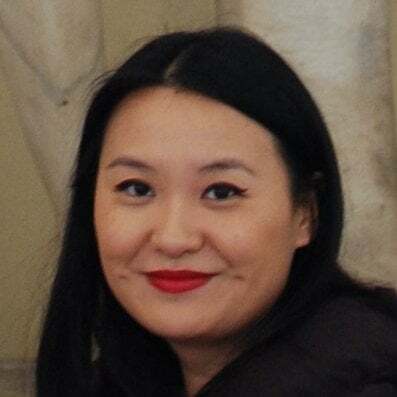 Lastly, in the age of the customer, we have to assume businesses do not rate making their customers happy as very important are not long for this world. It is amazing is that up to this point, businesses have been able to grow and not prioritize customer happiness. 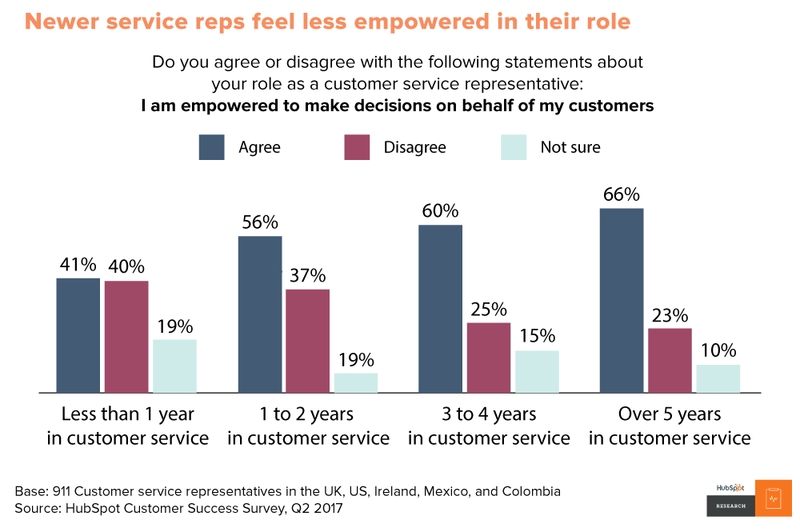 Our data shows that businesses that take customer success seriously reap revenue benefits, and this success starts with customer service teams. Unfortunately, these teams suffer high attrition, which can create inconsistent and subpar customer service experiences. Customer service roles are difficult, with representatives often dealing with frustrated customers with little internal support. 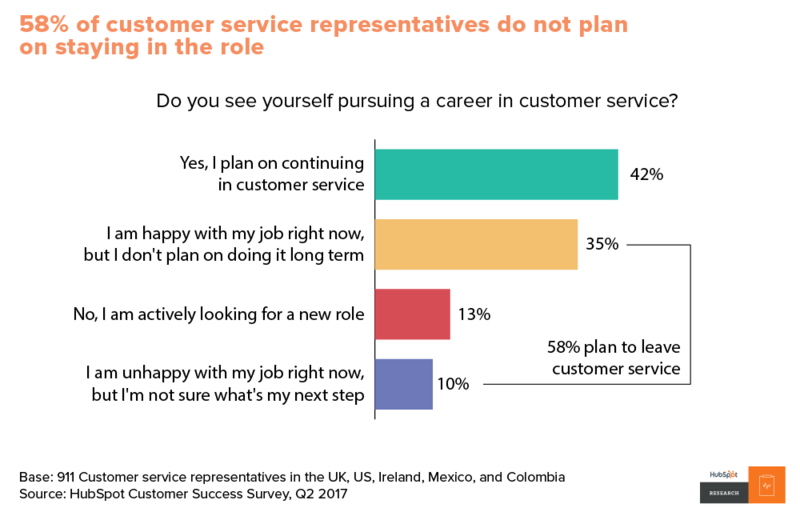 In our survey, many customer service representatives said they didn’t feel valued and over half plan on leaving their jobs. The impact of attrition is clear when we compare people's plans by how long they have been in customer service. We find only 19% of respondents with less than one year of experience plan on staying in the role. That means businesses are constantly working to replace and train representatives because 81% of the representatives they hire leave within the first year. 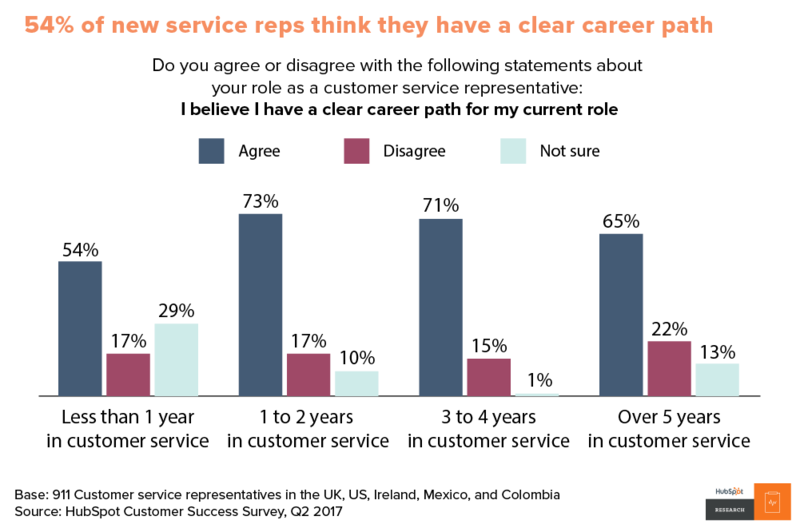 Since many representatives who don't see a long term career path in service leave within the first few years, we can assume those who stuck it out for over five years are more committed to their role and more likely to stay. However, we only see a slim majority of representatives with five or more years of experience who plan to stay on. Constant attrition destabilizes the service organization's, with valuable knowledge being lost as tenured representatives leave. It is typically entry level with few advancement opportunities. We asked service representatives a number of questions to see how they see their jobs. In line with our attrition data, representatives with less tenure report less satisfaction with a number of aspects of their job. First, they are less likely to feel that they can make decisions to help their customers, whether it's because of structural or procedural limitations. Being in a role where one doesn't feel empowered can impact morale and longevity in the job. 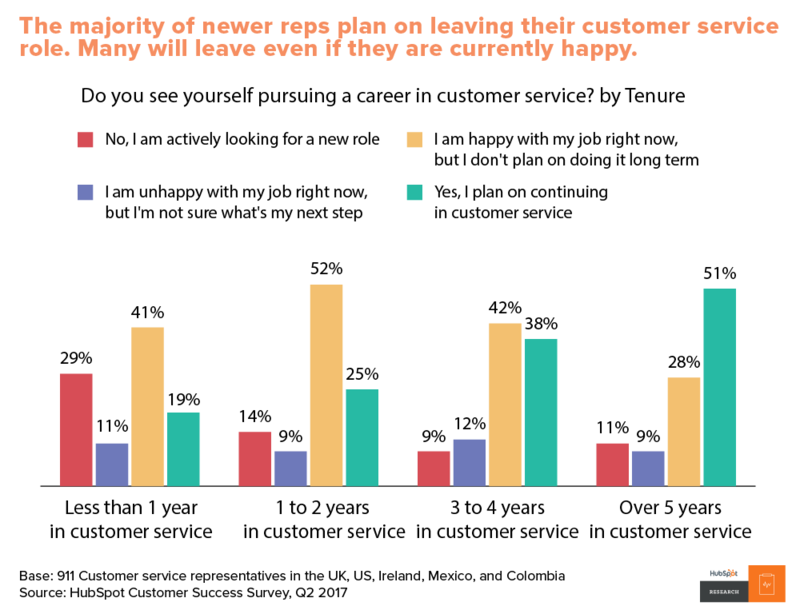 As new reps likely churn out of the role, those who remain after three or five years are more likely to report satisfaction with their ability to assist customers. Likewise, less tenured service representatives don't feel as valued in their organization. When customer service is perceived as an afterthought or a second class function within a company, it makes sense that many would want to leave to do something more 'high value'. There's also a dip for service representatives with over five years experience. Their confidence in their value to their organization drops after four years in service. 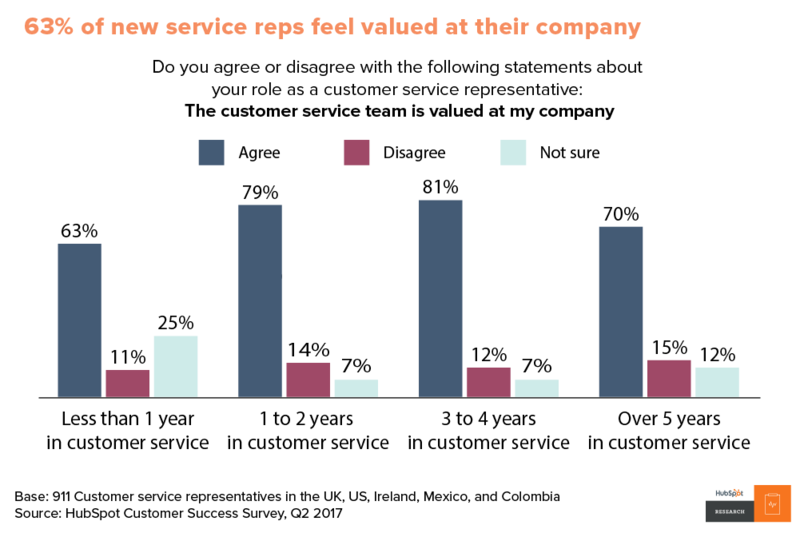 A full 15% of long-time representatives disagree that the service team is valued in their organization. It appears there's a ceiling of satisfaction after four years in a service role. When the longest serving representatives, who should be the most loyal and bought in because they've stayed on so long, feels less valued, it should be a warning signal for business leaders. Finally, less experienced representatives are also more uncertain about their career path in service. 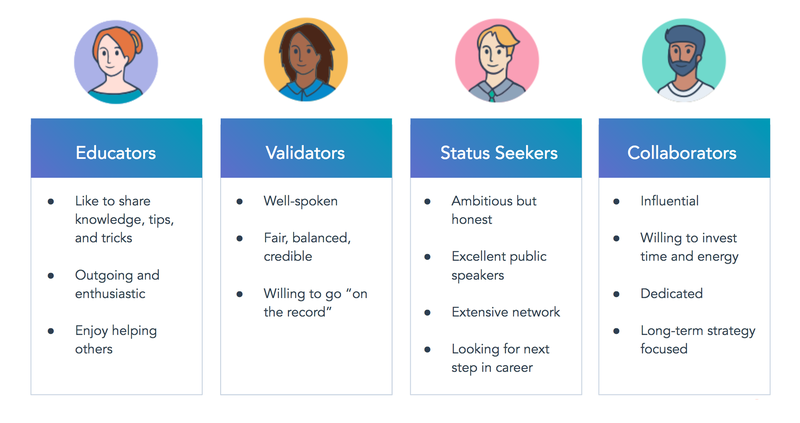 Leaders will need to be proactive about the opportunities they offer to representatives within the service organization, otherwise many will continue to perpetuate the idea the customer service is a dead end for their career. As businesses operate in the age of the customer, prioritizing customer service can no longer be lip service. Leadership needs to bring the service organization to the table with marketing, sales, and product. The customer service team is closest to the customer, hears all product related frustrations, and knows the pulse of the market. Service teams can provide valuable frontline insight for businesses in addition to serving the customer. Follow the lead of growth companies and re-evaluate your organization's customer service philosophy. Move away from the traditional view of 'service-as-a-cost-center' to a philosophy that's customer oriented and proactive. Investing in service teams can also potentially alleviate the concerns that many service representatives have with their role and provide a better working experience for these business-critical teams. HubSpot Research ran an online survey leveraging a custom panel of CEO's, VP, and customer service representatives maintained via ResearchNow. 1,633 respondents from the US, UK, Ireland, Colombia, and Mexico make up the sample. Respondents were screened for their primary involvement in customer service. The survey was available in English and Spanish and fielded March through April 2017.